Lt. Gov. Gavin Newsom’s vocal support of Prop. 64, which legalized adult use of cannabis for Californians, seem to be helping turn his campaign coffers green. 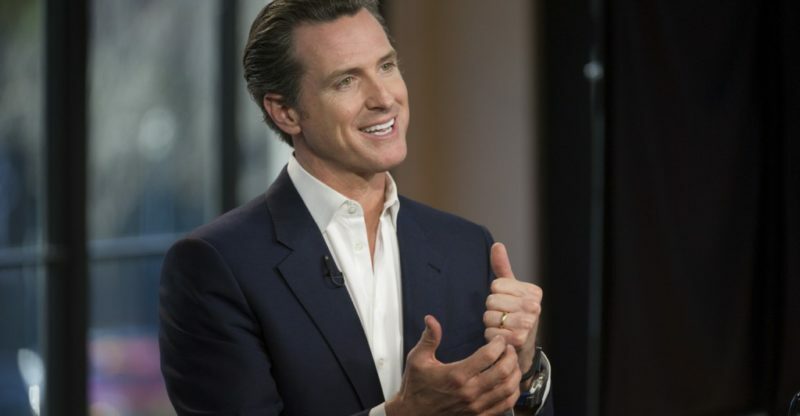 As a leading candidate for the 2018 gubernatorial race and cannabis policy supporter Newsom has received more than $300,000 in donations from the cannabis industry, according to the LA Times. The Times analyzed public records of campaign contributions to 2018 candidates Newsom, former Los Angeles Mayor Antonio Villaraigosa and Treasurer John Chang, with Newsom pulling in more than $300,000 from cannabis-connected donors. The other candidates have just over $5,000 combined. Newsom has been a key player in the state’s path toward full legalization, just as he was an early supporter of gay marriage when he was the mayor of San Francisco. As Lt. Governor, he’s one of the first state-level officials to come out for legalizing weed; creating a blue-ribbon commission and holding public hearings to develop policies to support what would ultimately become Prop 64. He’s gained the trust of the pot industry by even having one of his recent fundraisers hosted by the Indus Holding Company, maker of such marijuana-infused treats as Toasted Rooster and Crispy Kraken chocolate bars. Newsom told the Emerald Report last year that he had never actually smoked cannabis. But not everyone’s happy. Hezekiah Allen, executive director of the California Growers Association, which represents small growers in Northern California’s traditional pot-growing Emerald Triangle, told the Times that the money going to Newsom is coming from large enterprises and wealthy individuals seeking to cut out the small growers who paved the way. “There are fierce and cutthroat business practices coming,” he said to the Times. “We’re pushing to keep craft growers in business.” Allen is backing Treasurer John Chang, who is behind a strong effort to give the cannabis industry access to banks. Currently, the industry is largely cash-based since banks are federally regulated, and marijuana is still illegal at the national level. The $300,000 raised so far by the pot industry is only a small part of the $14 million campaign finances Newsom already has, but it’s more than any other agricultural sector in the state has raised, and it’s a clear sign of pot’s increasing political clout.